Have you ever consider having a dreamy wedding in Bali? If yes, The Majestic Chapel may be a good option for you. 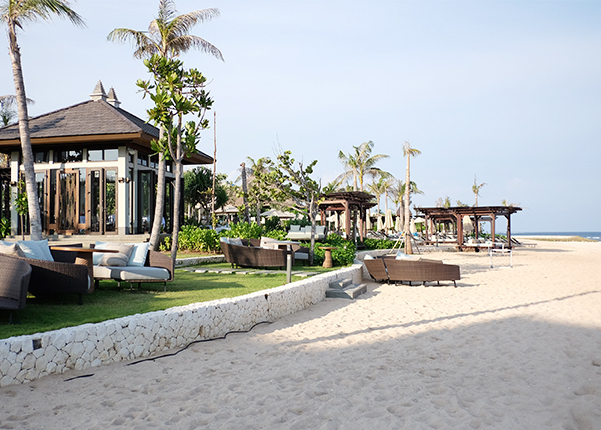 The Chapel stands just by the beach side, which means that you'll be having a beach view during your ceremony. What's more is that the architecture of the Chapel itself is amazing. 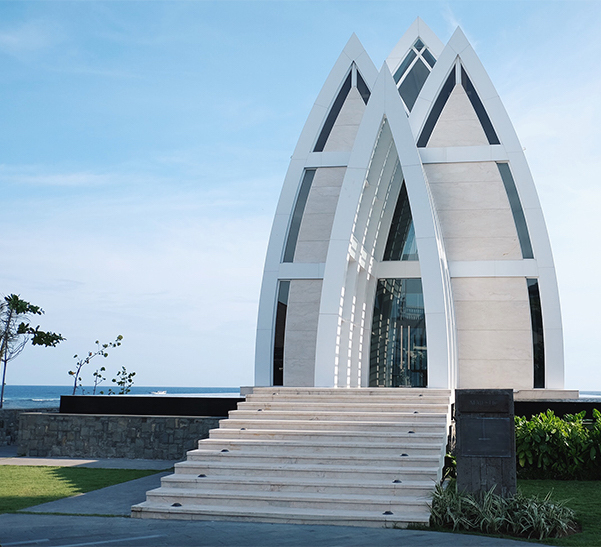 A perfect combination between modern and luxury design of a Chapel but still keeping the traditional shape of a Chapel. 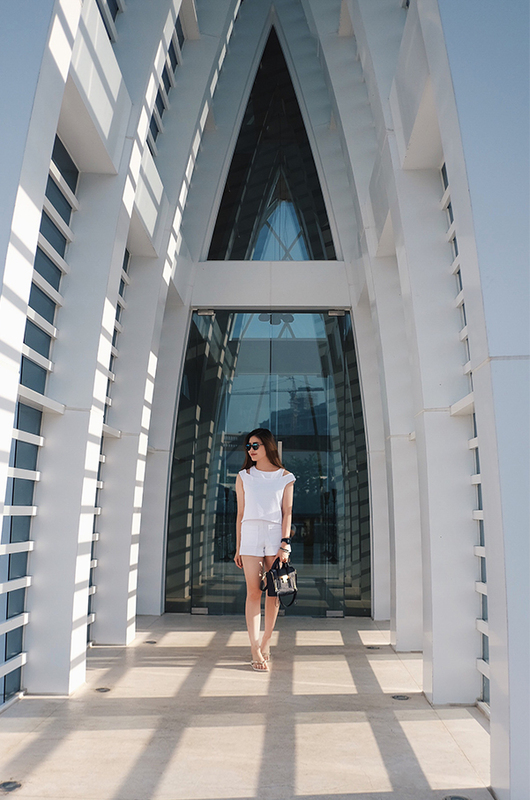 I personally love the white color of the Chapel as white represents light, goodness, innocence and purity. The Chapel is located at Jl. 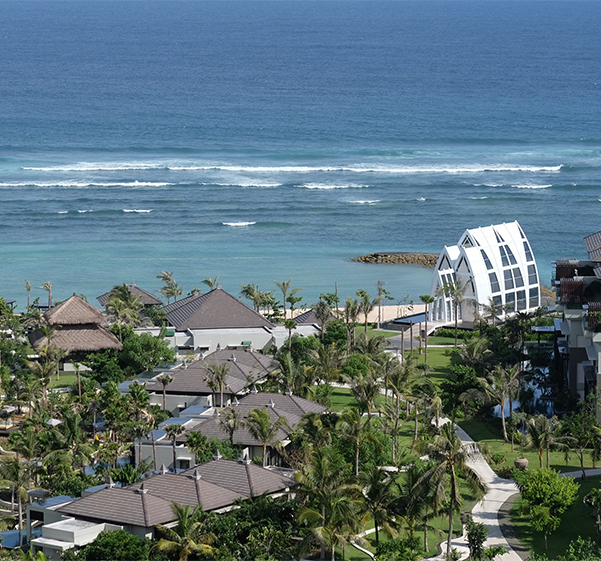 Raya Nusa Dua LOT#3 and is considered one of the facilities by The Ritz-Carlton Bali. Here's the view taken from The Ritz-Carlon Hotel's lobby. You have to go to the hotel first because the Chapel is part of their facilities as I mentioned above. Here's the view that you will find when you went to the Chapel. It's the surroundings of the Chapel where you can just chill inside the restaurant or enjoy the beach view on the beach chairs. I guess that's all for now. 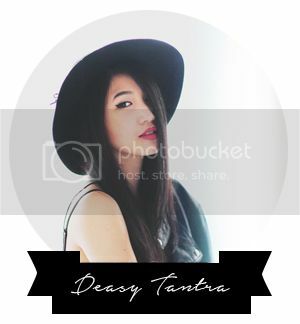 I hope this post would give you any idea where to celebrate your special event or if you simply just want to take an outfit pictures with amazing background. nice Chapel look so beautiful! It's really fresh and lovely. I went to whole food after for grocery shopping, their flowers and price can't compare to these guys who Deliver Flowers. For sure I will go to them as often as possible.